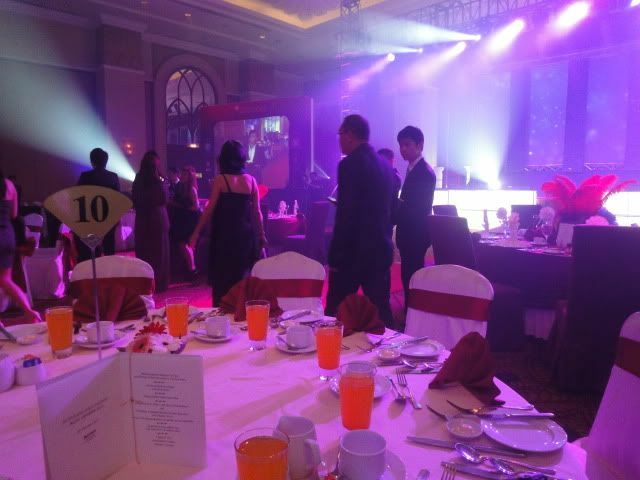 I'm splitting up the NAPBAS (Nuffnang Asia-Pacific Blog Awards) post into 2! 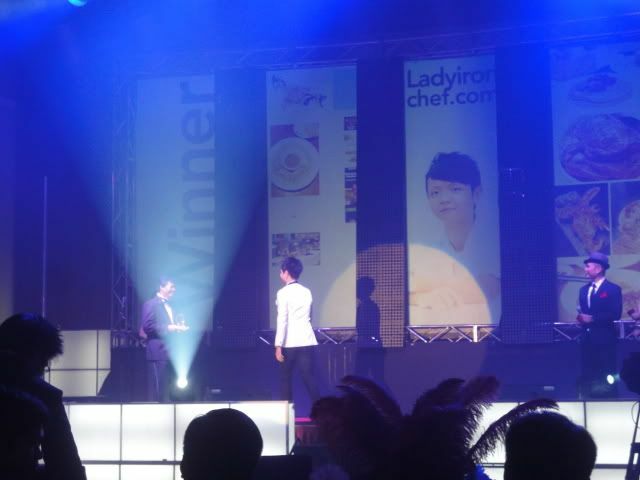 :D Today's post will just be of the dinner awards itself. Nuffnang booked 2 coaches to bring the Singaporean bloggers up to Kuala Lumpur, which left on Friday morning. The awards were Friday night itself, with Saturday for touring the city & Sunday for the return journey! The bloggers from the other countries (Hong Kong, China, Australia, Philippines, Thailand...) get it the best because they get to take flights down! 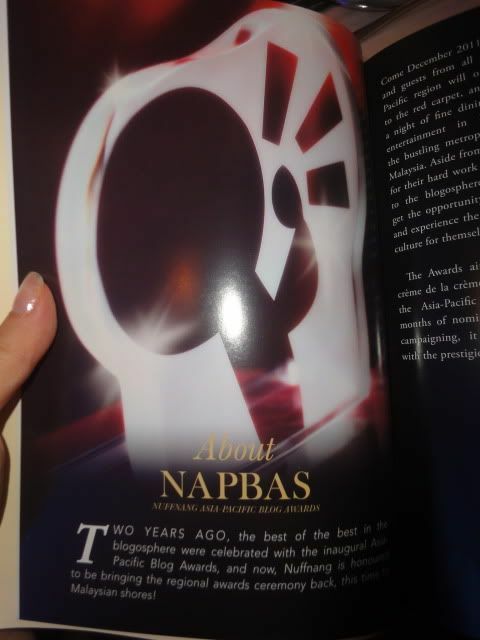 LOL I hope the day comes soon when the NAPBAS will be held in Australia *fist pump*. Wendy touching up her makeup in our room! Qiuting & I shared a room & I guess... due to it being the non-couple couple room (Couple 1: Wendy & Mike, Couple 2: Jessica & Sam)... everyone would come to ours! Cheesie (Malaysian blogger) came to our room too & the 3 of them (Wendy, Cheesie & Qiuting) took lots of pictures in our room.. & I'm in none! "If you're wondering where Sophie is.. SHE IS IN THE BATHROOM! =.= She freaking chill one!!! Still can nap and laze around when we only have 2-3 hours to dress up. We say she half angmoh so she haolian. LOL." Qiuting & I! With her carefully curled hair lol. LOTS OF PEOPLE! Didn't expect it to be so crowded! 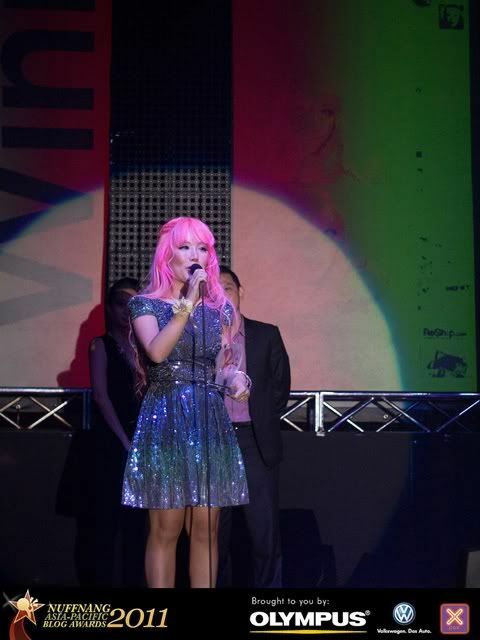 Oh & poor Wendy in the background who had to take pictures with a zillion people that night haha. I wore a sequin outerpiece/dress from Topshop that had been sitting in my closet for ages because it looks a bit too dressy for normal nights! Actually I bought it simply because it was on sale lol. With Qiuting & Jessica! And Brad's left eye. 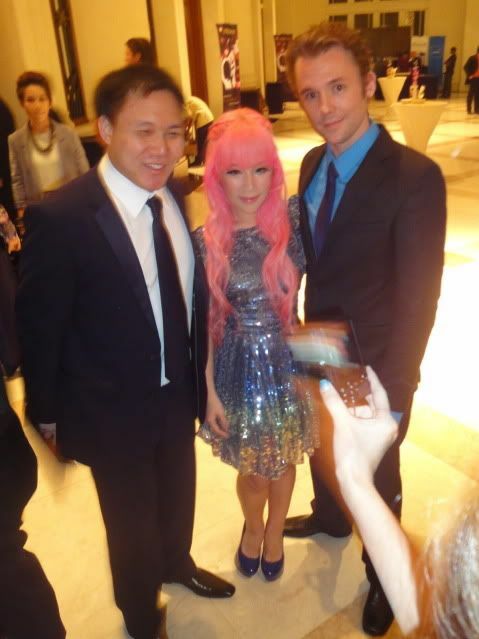 Wendy & Mike with one of the founders of Nuffnang, Ming! 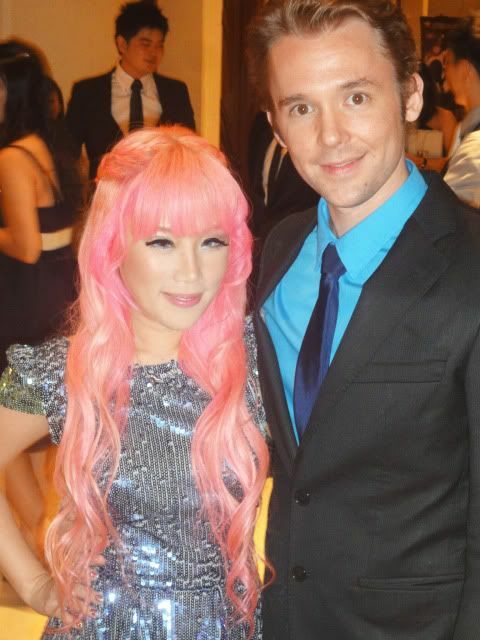 Wendy's hair & Mike's suit look nice here so I'm posting it up despite both of them not looking in the right direction & Mike's eyes even being closed lol. Brad & the nomination board for the Best Food Blog, posing with his blog! Qiuting & Cheesie. People say they look alike; do they at all?! I see no resemblance leh! Maybe just the... hair colour? Qiuting & Huiwen! 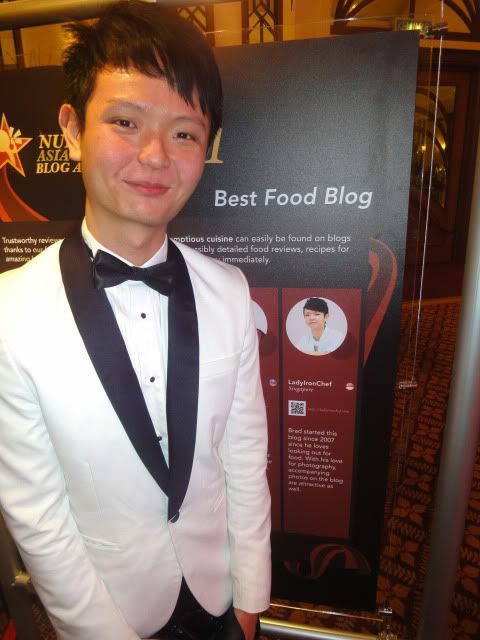 Huiwen is the blog manager for the Singapore branch of Nuffnang! With Jessica, Qiuting, Wendy & Cheesie! 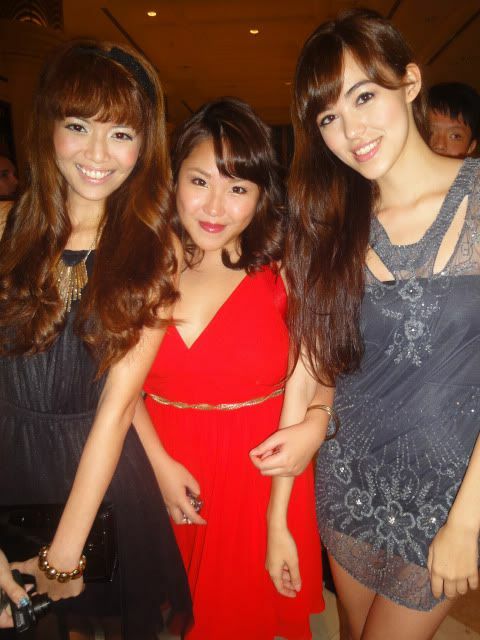 With Velda & Beatrice on the right! Cheesie, Wendy & Mike! 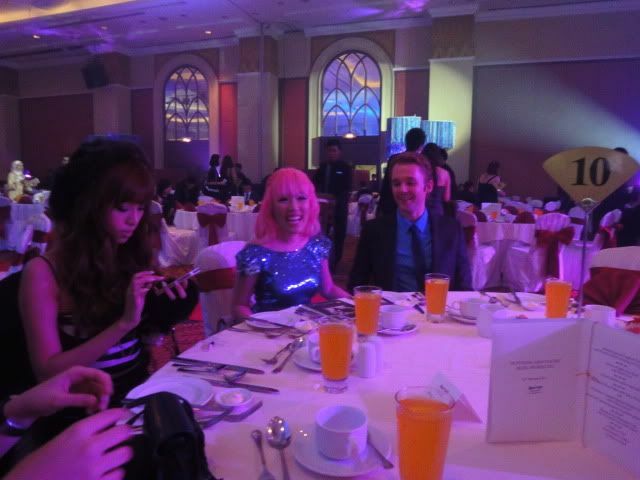 Also at the table with Qiuting & I were Cheesie's blog manager as well as the Singaporean nominees for one of the parenting blogs! 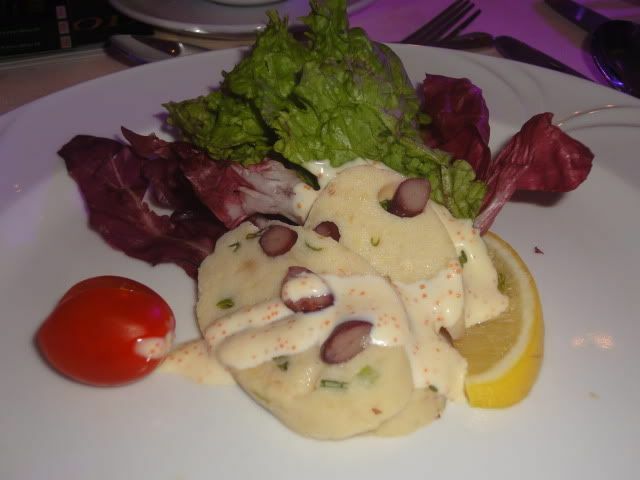 First course - Seafood terrine. I ate Qiuting's share LOL. The 2 Nuffnang founders! 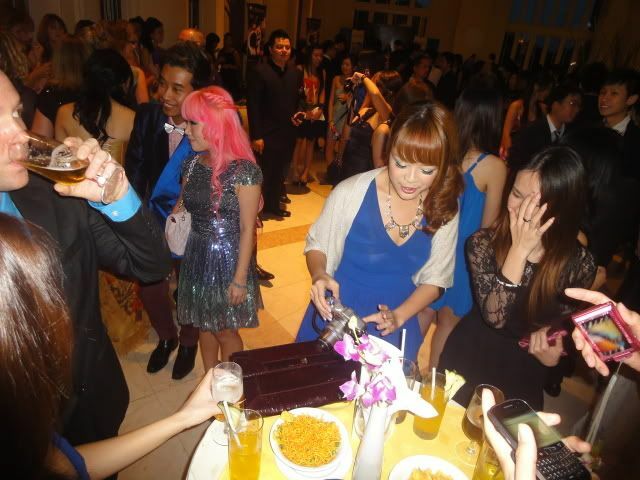 Timothy also just proposed to Audrey (Malaysian blogger) via memes & the video is now going viral! Hehe Huiwen, the Singaporean manager! 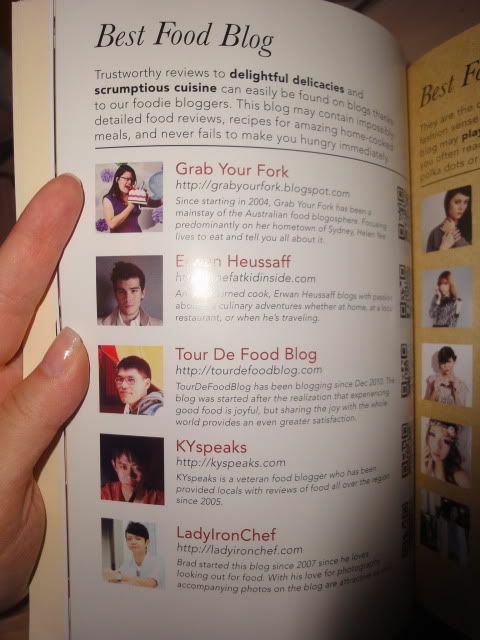 Brad as one of the food blog nominees! The Region's Best Blog is the biggest award of all & isn't open to nominations! 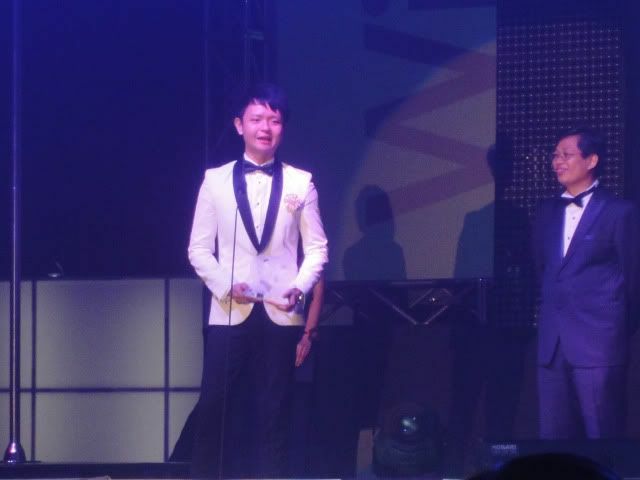 The winner is picked based on the highest total scores out of the nominees for all the different categories. 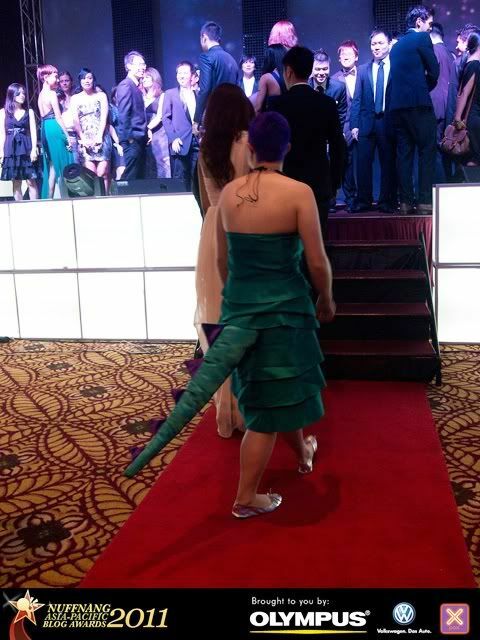 LOL at an Australian blogger who wore this really cute dinosaur dress! 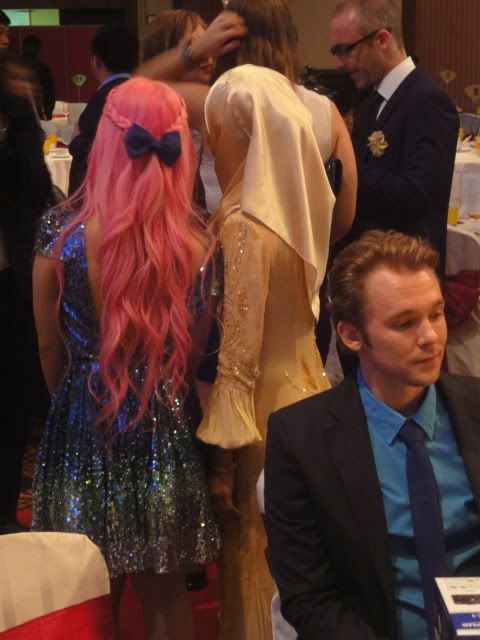 Like omg the dress has a TAIL. Hahahaha no clue how she could sit comfortably in that! 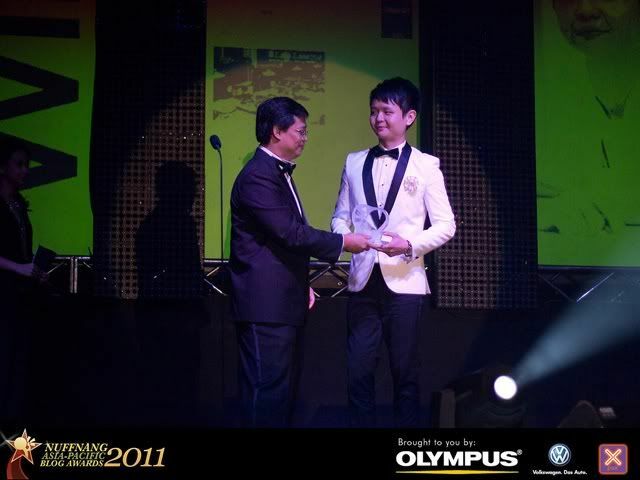 The next NAPBAS will be in 2013 & competition will be even more intense because Nuffnang is expanding to more countries in the region! If I'm not wrong, South Korea is one of them :) Haha Qiuting keeps saying it's gonna be damn difficult with all the super pretty Korean bloggers. Anyway everyone was so dressed up! Lots of girls wore full floor-sweeping gowns :O I don't even own one of those! Haha I decided on my outfit... around 5 hours before the coach left the Nuffnang office. Ok next time I need to get something with extra extra bling LOL. Ok hope everyone enjoys their Christmas Eve! 7 comments on "NAPBAS Dinner"
Wow, it looked like so much fun! I wish blogging was more influential here in Canada like in Singapore! Sachie: I'm sure it'll slowly get there! 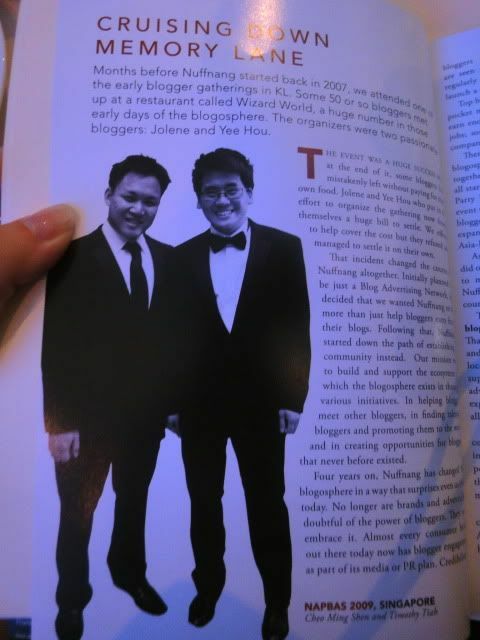 :) I think blogging is pretty big everywhere, just that the Nuffnang concept (blog advertising) is one of the pioneers in the region so they got a headstart! I'm 173cm :) definitely taller than the average Asian haha. How tall are you after wearing heels babe! 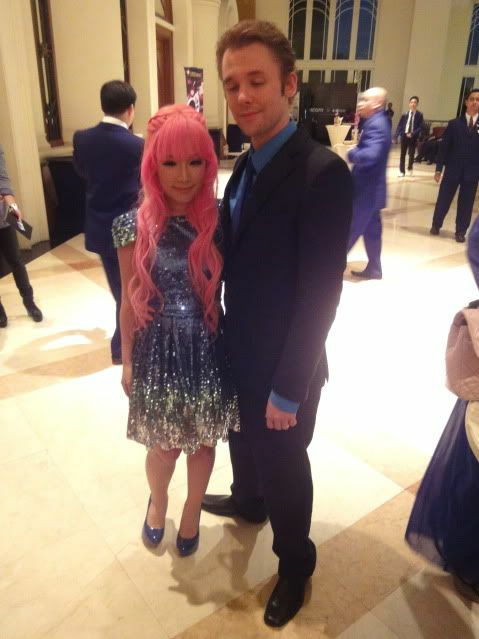 Jane: Well my heels are 4-inches high, so I'll be 183cm! even though you do nothing to your hair but it's always so lovely! Envious!